Sav On Moving & Storage is a family-owned and operated company that has been serving Southern California for the past 18 years. We provide quality moving, storage, and packing services for families and corporations. We are proud of our outstanding service and the many satisfied customers who return to move with us again and refer their family and friends who need moving and storage services. 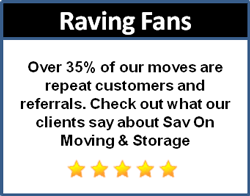 Sav On Moving is an American Moving and Storage Association (AMSA) certified ProMover – so you know that our service has been tested and proven. Contact us at 800-675-2956 to learn how we can Create a Customer for Life with our family-oriented service and care. Your Full Service Moving Solution. 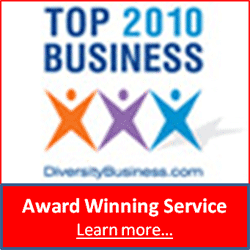 Solving your Logistics and Relocation Needs. A Tradition of Service Excellence.